Thank you for you and your child's interest in our children's classes. We would like to welcome you to come to our academy on a Tuesday or a Thursday. There are classes for 5-8 year olds (P1 to P3) from 4.30 pm to 5.15 pm and classes for 8-14 year olds (P4 upwards) from 5.15 pm to 6 pm. Our adult classes start after this and all children over age 14 are welcome to join with their parent's permission. You can choose which day you prefer to train on. If you wish to see the academy before coming to your first class then please feel free to visit us. At the moment we are open Monday to Friday 6 pm to 9.15 pm and Saturday 10am to 12pm. The classes will be based on a kickboxing and Brazilian jiu-jitsu syllabus designed by Rick. 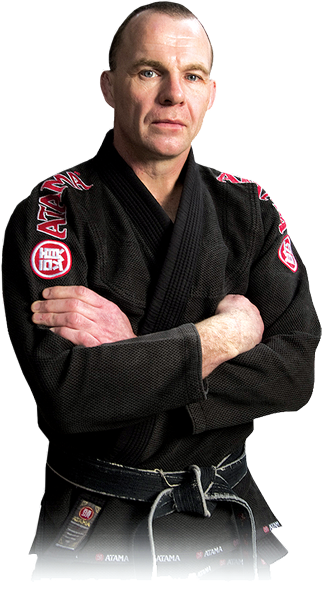 Rick has been trained to blackbelt level in both of these arts and has attained World championship medals for Brazilian jiu-jitsu. We would like to offer your child a free class to see if they like the training. All equipment will be provided at the academy. Iif you decide to carry on training with us a uniform of a white gi will be mandatory for the class, these will be given to children on membership to the academy. Gi's used from other martial arts activities are also welcome. There will be a segment of each class devoted to life skills/character development. The Little Champions (5-8) will often be given sheets to be completed at home; these are non-compulsory and are designed for you to further talk about the subject spoken of in class. We will start with the subject of respect and discipline, but will go on to cover subjects such as stranger awareness, healthy eating, road safety, exercise and bullying etc. Please feel free to come and discuss with Claire or Rick any concerns or questions you have about this. Finally we would like to say that we are really excited about the prospect of teaching children. Rick has been teaching adults exclusively for over 25 years and we feel it will be a real privilege to finally open our academy to the next generation and hopefully make a positive impact in these young lives. We hope that you will enjoy being part of our academy and look forward to meeting you soon.